As the holiday season gets underway, many will gather with family or friends in activities that revolve around food. Most every culture has traditions and festivals where food is an integral part. 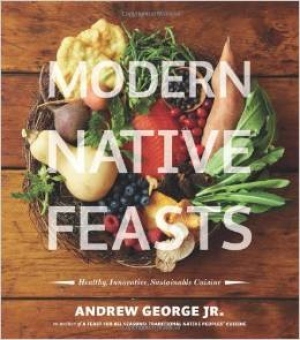 This month’s spotlight celebrates the strong connection between food and festivities of many Native American communities with four examples from the library’s extensive collection of resources on Native American food traditions and cooking. These works highlighting favorite foods, feasting and flavors are currently on display in the public reading area of the library. Please feel free to visit the library to review these or any other items of interest in the Library and Archives collections. For more details or additional collection information, click on the Search Catalog link located in the pull-down menu of the library tab on the Heard website.